Angela was bouncing from place to place, sleeping on friends’ couches, all the while continuing to progress in her pregnancy. She felt like her world had been turned upside down and struggled with insecurity and shame. Expressing feelings of failure and disappointment about her past decisions, Angela knew she wanted to parent her child. Angela felt overwhelmed and alone as she considered how she would support her daughter when she did not even have a home. Through the Life Design Program, Angela started to meet with a counselor weekly and receive therapeutic services to help her as she coped with the changes in her life as she approached parenting. Angela grew in confidence and hope as the relationship with Vicky*, the Life Design counselor, developed and she felt empowered to become a healthy young woman so that she could be a healthy mother. Vicky was able to address not only Angela’s spiritual and emotional needs, but she also assisted in meeting her physical needs, as well. By partnering to identify potential living possibilities, together Vicky and Angela were able to assess meeting Angela and her soon-to-be-born daughter’s needs. After calling numerous maternity homes and inquiring about their services, Vicky was able to help Angela get accepted into a maternity home just one week before giving birth to her daughter. Angela was ecstatic and relieved because she knew that when she was discharged from Baylor University Medical Center at Dallas, following the delivery of her daughter, she would have a safe place to live. Vicky and Angela continued to meet together, and she supported Angela as she learned how to nurture her daughter and adjust to this new role in her life. When many of the relationships in Angela’s life were fractured, absent and distant, Vicky, as her Life Design counselor, became a constant, encouraging and safe friend for the new mom. They began talking about the next steps for Angela and her daughter, as Angela desired self-sufficiency with the goal of employment and returning to college. Through a referral from Vicky, Angela was accepted into a housing program for single moms, where she would live in her own brand new apartment, creating a more permanent living environment for her and her daughter. Angela continued to grow and mature, becoming more sure-footed in who she was as a young woman, which in turn was reflected in her mothering. Now working full-time, in a job the Life Design program referred her to, Angela plans to return to college in the very near future. She is completely self-sufficient and able to provide for her family’s needs. She told Vicky that her daughter has been the best thing that could have happened to her because she has given Angela a sense of purpose and helped her define who she is — a confident, self-assured and motivated young woman. Angela attributes much of her success in personal growth, parenting, employment and gaining stability to the relationship formed with Vicky. Now, when Angela calls Vicky, it is to share good news about the steps she is taking towards her bright future. Assessment of goals, health practices, familial/social support and economic resources. Professional Christian counseling to help with the emotional aspects surrounding pregnancy and parenthood. Education about parenting, risky behaviors and barriers to health care. Referrals to resources in the community for needed services. There is no cost to participants for the program as it is funded by Baylor Scott & White and provides direct access to a wealth of individualized services through Buckner. 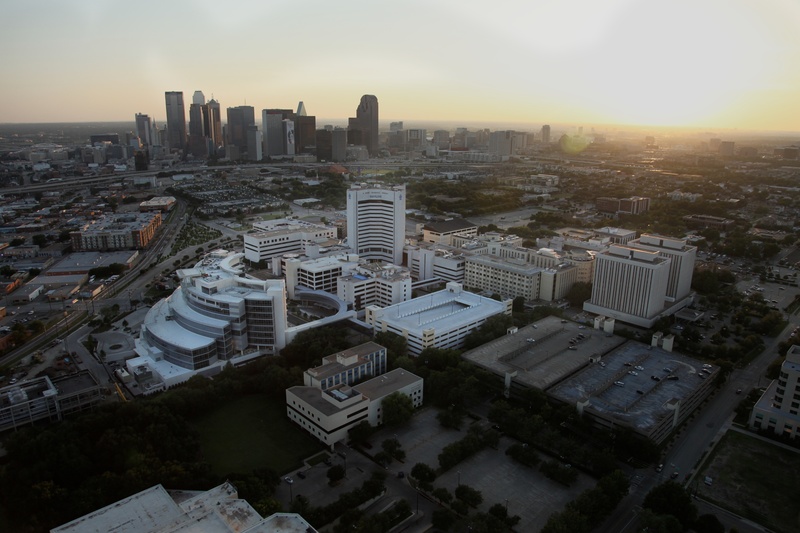 The Life Design Pregnancy & Counseling Center is located on the Baylor University Medical Center at Dallas campus. For more information, call 214.820.9605. When you make a referral to the program, you become a part of a young mother’s story and a vital part of the ministry. Through the power of the Holy Spirit, we have the opportunity to positively impact the lives of teenage moms and their unborn babies. Lucy Horton, MA, LPC, serves as a Life Design Counselor for Buckner Child and Family Services.